Graves of people, especially parents, other relatives and friends should be visited in order to pray for the peace of their spirits and for their salvation. Deeds that are performed on behalf of the dead will reach them as stated in hadiths and determined by the consensus of Islamic scholars. Visiting the graves is legalized for men, and the preponderating opinion is that it is forbidden for women. In visiting graves, there are two benefits. 1) A lesson for the visitor: It will help remind the believer of the Hereafter. Visiting the graves in order to call Allah by the gravesite: This is the act of innovation, in addition, the visitor may find himself in fitnah. For instance, if Allah answers his request, he may think it was due to the blessing of the person laying inside this grave. Visiting the grave to call Allah by using occupant as Negotiator: This involves putting the grave occupant as an intermediary between him and Allah; this is unlawful and could become major shirk. Visiting the grave in order to show your grief: Ibn Taymiyyah said anything that agitates the Malady is from Mourning, hence it is permissible. Therefore, solely the final two eventualities fulfill the felony justifications for touring the graves, and each is recommended. 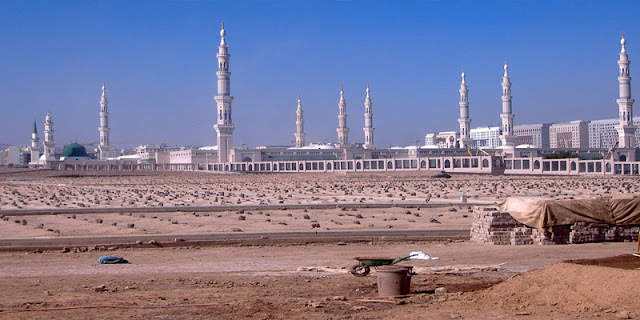 Some of you might think about the visiting of Prophet’s (PBUH) grave is it permissible well organize a journey particularly for visiting the Prophet’s (PBUH) grave is prohibited, however, organizing a journey to visit his Masjid is legal. If a person is visiting the Masjid and moves from his grave and pays salam, it is also permissible.